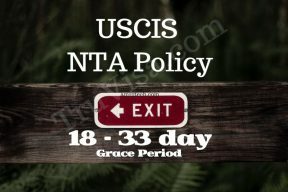 USCIS NTA policy allows 18 - 33 days grace period to file appeal or leave USA before NTA is issued. H4 child can get NTA. I140, H1B extension 240 day not in NTA.